I was visited in Kolkata, West Bengal on 23rd & 24th june 2017. I have test Jio & Vodafone internet coverage and download speed. There was I saw Jio speedtest result is better than Vodafone 4G speedtest result. Some area I visited and I was saw everywhere at this town Jio is better than Vodafone 4G. 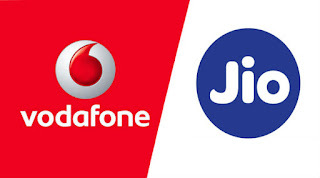 Also Jio is cheap from every mobile operator.